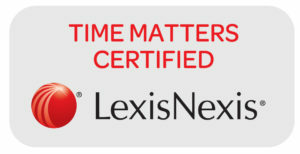 Time Matters, Billing Matters and PCLaw are legacy tools owned and supported by Lexis Nexis. These are on-premise products that have been doing the job of practice management, billing and accounting for decades. Since they have been around for so long, they have become the yardstick by which other products are measured. Their features are extensive and refined. These tools integrate with each other to provide a robust solution from front end calendaring, task management, basic document management to billing (including electronic in LEDES98b format) and GL accounting. The strength of these products lies in their ability to be highly customized which gives you the power to build and manage case workflow based on your practice style. Amicus Attorney and Amicus Billing are also on-premise products that require hardware in your office. The Amicus product line has evolved over the years with an emphasis on ease of use. The interface is clean and easy to navigate. These products together provide both practice management and billing but do not include accounting. They recommend linking with QuickBooks to provide a complete solution. Amicus boasts a unique ability to access your practice via web browser, a feature they call ‘Amicus Anywhere.’ They also offer a client portal which gives your clients the ability to review documents, fill out forms and access case information without additional intervention by you or your staff. Clients appreciate this additional avenue to securely communicate with their attorney. Attorneys love fingertip access their clients Accounts Receivable and trust balances. Clio provides a web based off-premise approach to practice management. With a monthly fee billed by user, Clio offers practice management and simple billing with convenient plugins and compatibility with other popular services such as Google Apps, Webmerge, Zapier, Dropbox and Net Documents just to name a few. They also link with QuickBooks online and Xero for Accounting. As the web evolves, so does Clio and its integration partners. Clio is well suited for solo or small firm attorneys who are on the go. Where ever you are, Clio is just a click away. CenterBase is a very impressive web based product with a robust feature set. Integrated billing and accounting set it apart as a complete cloud based solution. Centerbase has its roots as a CRM tool (Customer Relationship Management) so helping you keep in touch with your clients is in it’s DNA. CenterBase also has the unique ability to automate your practice through custom workflows. Automated workflows prompt everyone in your office to stay on task and provide your clients with an unprecedented experience. Integrations with Net Documents and Law Pay are icing on the cake. 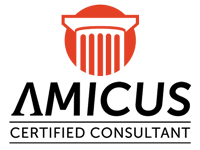 Timeslips is the desktop leader in law office billing. With it’s decades of history, it is one of the most versatile billing products on the market. This on-premise solution tactically automates time capture, billing, trust and payment management as well as custom reporting. It’s link with QuickBooks desktop reduces data entry as payments and costs gracefully flow between the programs. 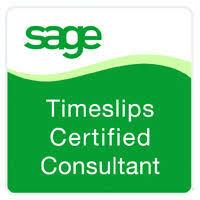 Timeslips might be described as a powerful billing module for QuickBooks. It handles the day to day fees, costs and Trust entries that QuickBooks does not accommodate. The Electronic Billing module generates bills in dozens of formats including Ledes98b, the most common audit house submission format. Timeslips eCenter provides a remote (web based) time entry portal worth considering. If you are billing from QuickBooks, think about adding Timeslips to provide your client with a better billing experience. 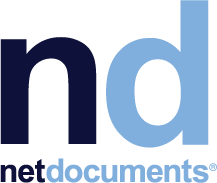 NetDocuments sets the standard for cloud based document management. It gives you access to documents, anywhere, anytime, on any device you have an Internet connection. Client and Matter-centric workspaces automatically organize your documents so they can be found quickly and easily. Full text indexing provides instant search capability across your entire document store or a single matter. ndOffice is the Word, Excel and Outlook plugin that brings the power of NetDocuments to Microsoft Office. Effortlessly save email and attachments to your clients matter with just a few clicks. Search, find and open documents stored in the cloud directly from Word. Save and close and see them automatically checked back in for others to review. Create new document versions on the fly. Share documents securely with opposing counsel or clients through email or sharespaces. Outsource your security concerns and compliance by moving your documents to the cloud (HIPAA, Soc 2+, FIPS 140-2, SEC, FINRA). It’s worth a look.